About Us - Roberto's Backhoe Service, Inc.
Roberto's Backhoe Service, Inc. has been serving McCamey, TX and the Permian Basin areas since 1980. With our experienced workforce and heavy duty equipment, we’re the best business to call on for timely and budget-friendly results. Roberto Navarrete has become a leader in dirt construction and general oil field services over the years. He is known for his strong work ethic and unrivaled industry experience. Leroy Salinas, Dirt Construction Foreman, joined the company in 1982 and has been a major asset to the business ever since. 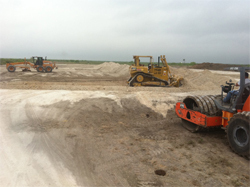 He is an experienced bulldozer operator and oversees numerous jobs big and small. 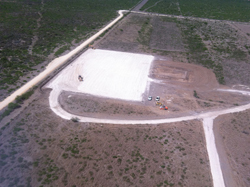 Roberto's Backhoe Service, Inc. specializes in general oil field maintenance and the creation of new oil locations. We have trained and skilled operators who are ready to assist with your project from concept to completion. Rest assured, we will inform you of our progress every step of the way and ensure no detail goes unnoticed. We’re the right team for the job as we treat each project as if it were our only project. We know that oil field jobs require heavy duty equipment and involve challenging work. When you hire Roberto's Backhoe Service, Inc., you won’t have to worry about hiring separate companies for other jobs or renting expensive heavy duty equipment. We help our clients save on labor costs as well as time by doing the job entirely ourselves. We come fully equipped for new oil location creation, oilfield maintenance, and other jobs right from the start. That’s why we’re the best! 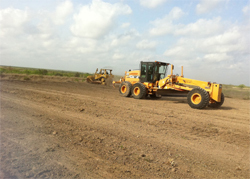 In addition to creating new oil locations and performing maintenance on existing oil fields, we also offer bulldozer service, dirt work, road building and repair, grading, excavation, and land clearing services for oilfield and construction jobs. Call us today to schedule your excavation or dirt work job.